From Arc Newsletter, 2004. John Locke was on business near the Ohio River area just west of Portsmouth, gathering information for an endeavor that would have dramatic impact on Terra incognita for the next sixty years. He was measuring various layers of sandstone in what is known as the Buena Vista member of Ohio’s Mississippian bedrocks. His purpose was to archive the state’s geologic resources for the purpose of quarrying sandstone to build the rapidly growing cities and towns of the East. Read More. From the Arc’s Spring Newsletter, 2010. 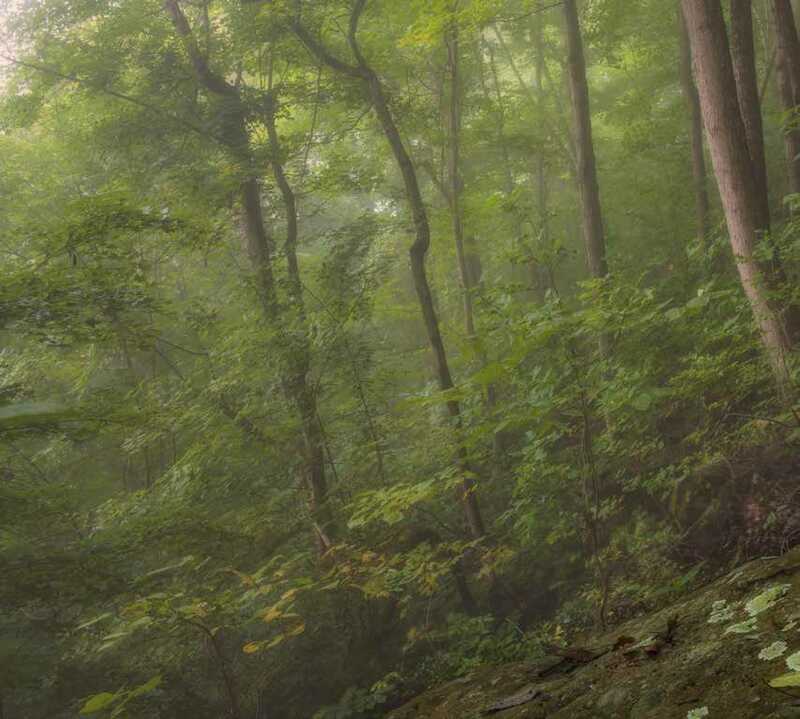 In late 2004, the 184-acre tract known as Rock Run, located at Sandy Springs, Ohio, was purchased by the Arc of Appalachia Preserve System as an outstanding biodiversity site and one of southern Ohio’s most significant natural features. The wildness of the Rock Run region is legendary. 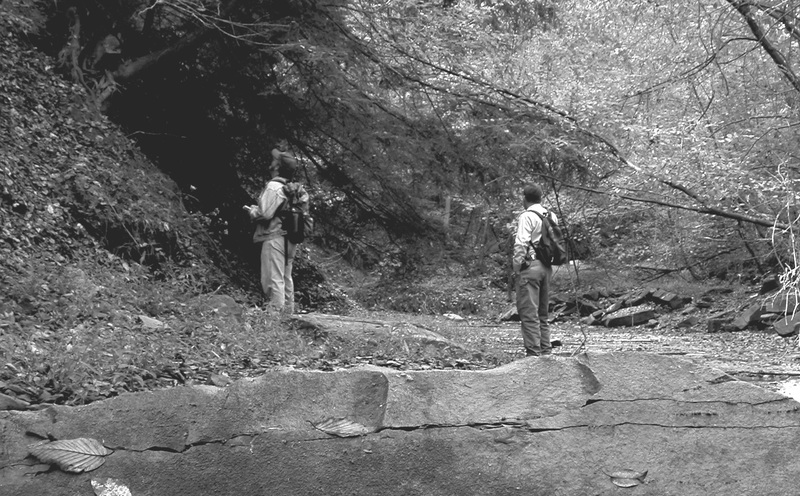 The 300-foot depth of Rock Run’s valley is one of the deepest in the county, and provides habitat for bobcat, timber rattlesnakes, and Allegheny wood rats. 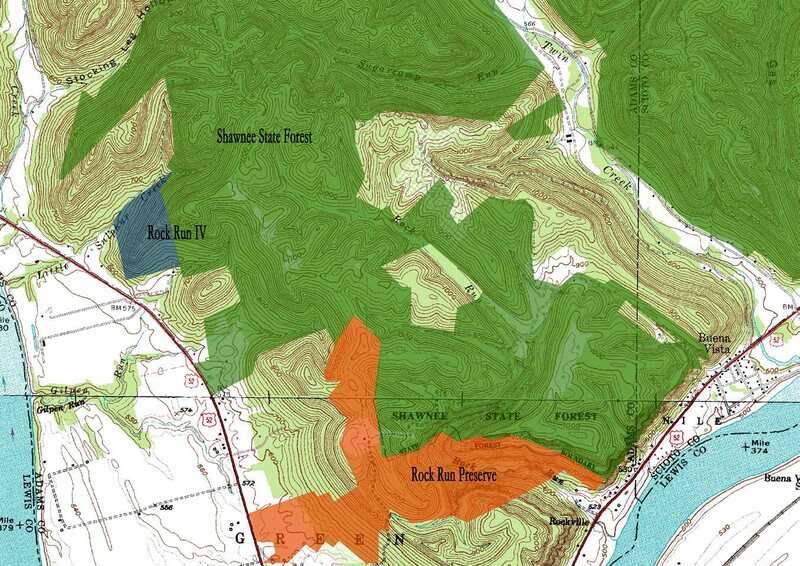 Rock Run’s watershed contains a rare forest association of black birch, hemlock, and sweetgum that is restricted in the state to the Ohio River Valley. 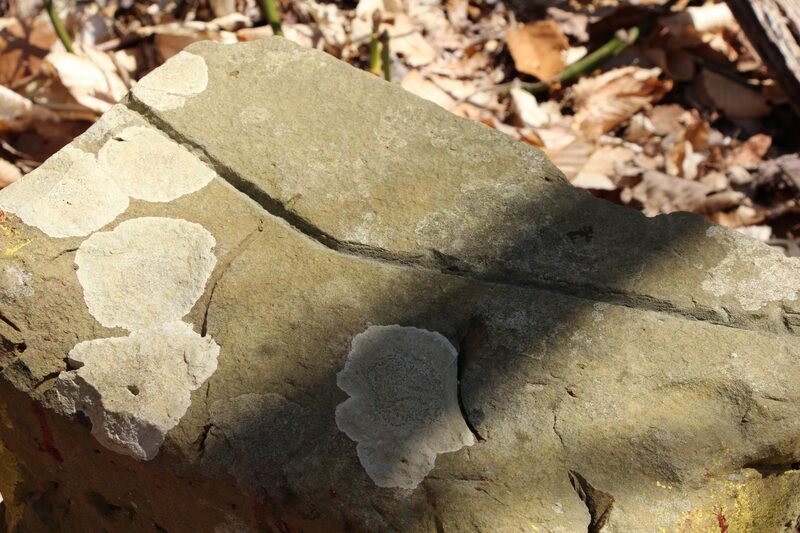 To our knowledge, Rock Run is the only location giving this type of forest permanent protection in Ohio. Read More. From Arc Fall Newsletter, 2010. Among the Arc’s fourteen preserves, which would be your favorite? Would it be the Sanctuary and its breathtaking Rocky Fork Gorge? Kamama Prairie and its 70-plus species of butterflies? Gladys Riley, where the rare golden star lilies grow? Spruce Hill and its sacred 2000 year old earthworks? Every Arc preserve is a jewel, but among the top runners-up would have to be Rock Run. Read More. Article: Rock Run Wilderness- Can an Entire Watershed in Ohio Be Preserved? From Arc Newsletter, Winter 2017. If you carry the biophilia gene and have an insatiable longing for wilderness, then you are going to love the Arc’s Rock Run Wilderness Preserve. Overlooking the Ohio River just east of Portsmouth, Rock Run Wilderness is tucked into the curve of the 60,000 acre Shawnee State Forest, known as the “Little Smokies of Ohio.” The rapid elevation change at Rock Run, from its 1,100 foot ridgetops to Rock Run’s confluence with the Ohio River at the 480 foot elevation, is more dramatic and swift than anywhere else in the state and provides vistas that are heart-stopping. Read More. Article: Rock Run- Conserve or Preserve? From Arc Newsletter, Winter 2017. Although Rock Run watershed may soon be fully conserved, it is not fully preserved. Half of the watershed’s acreage lies in Shawnee State Forest, where 73% of the State Forest’s 60,000 acres are actively managed for timber production. Toward this end, Ohio State Forests are some of the best managed forests in the state. However, no timber harvesting event, regardless of how expertly performed, can occur without some ecological cost. Read More. From Arc Newsletter, Winter 2017. Beginning in the mid-1800’s, sandstone outcrops lining the steep ravines of Rock Run and nearby drainages produced some of the finest sandstone in the country supplying metropolitan building block to half the nation. Known as City Ledge Rock Run’s sandstone blocks still endure in stately urban buildings in places such as New York, Cincinnati, and Chicago. Read More. From Arc Newsletter, Winter 2017. Rock Run was a center for grape cultivation and winemaking in the mid-1800’s due to the visionary efforts of William J. Flagg of Cincinnati, son-in-law of Nicholas Longworth, one of Cincinnati’s first millionaires. In his day Longworth established extensive Catawba grape vineyards on the Ohio River between Cincinnati and Ripley. Read More.